So many people have said they hate grocery shopping and arriving at the checkout is where most people experience the stress of waiting. There’s nothing worse than having to run into the grocery store for one product and you end up having to wait forever because every check out is backed up. Since the invention of the self-scanner more people opt to forgo the traditional cashier and check out their groceries by themselves. In the past almost every grocery store had a grocery bag boy/girl at the checkout who would pack your groceries with his/her trained eye. The bags would go into your shopping cart and away you would go. The worst you would have to do is load the groceries on the belt and pay for the bill. Easy Peasy! Back in the 80’s (possibly before that too) my wife remembers some stores namely A&P who would have big red bins that would be numbered and all you had to do was pull up to the shop and a grocery clerk would take your number and pack your vehicle with your groceries. Gone are those days and I’d be shocked to ever see them again however it would be a great way to score a nation of grocery shoppers who detest shopping and those who are unable to carry and pack their own groceries. I was never a fan of waiting in line to check out so over the years since I’ve moved to Canada I have been able to speed up the check out process. While some people focus on their grocery shop I tend to focus on everyone else. 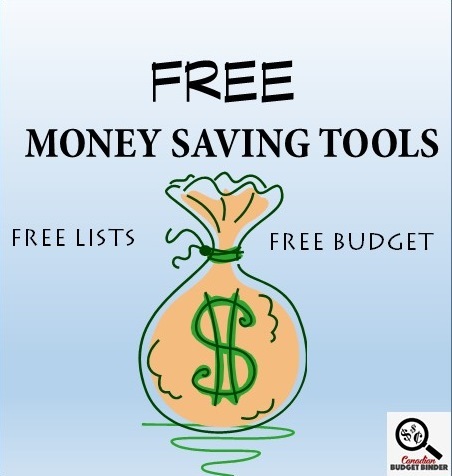 Being a personal finance blogger I am a people watcher so I watched what other people did while at the check out and devised my plan to get in and get out with ease. Time is money after all. One of the first things I did to learn a bit more about the check out process was talk to various cashiers. There hasn’t been a time where a conversation about grocery shopping has come up. I love to chat to anyone at the grocery store if it means I’m learning something new to share with all of you. These days instead of me taking about 10-15 minutes to check out I can get in and get out in 5 minutes while at the check out with these 5 tips I’m going to share with you today. One tip I’m not going to take too much time talking about is watching the person in front of you. If you see they are done putting their groceries on the belt jump in and grab the order divider and get packing the belt with your food. There’s nothing worse than the person ahead waiting for a huge gap before they start their check out process. I’d probably do a let’s get a move on dance behind someone if they were waiting. I know I’m pressuring customers to speed it up but it’s true not everyone has all day to wait so be courteous of the people in line behind you with things you CAN control. Remember this is to help you speed up your check out process only. If you want to speed up your shopping, shop with a list and don’t wander too far away from it. Stay away from talking to people you know because that can really set you back for time too. One of the easiest ways to deflate a check out line is when a product doesn’t scan properly and the customer requests a price check to apply the Scanning Code of Practice (SCOP) or the cashier simply needs the proper price. This is a common problem that the cashiers say customers complain about the most. There’s not too much the cashier can do but as a customer you can opt to leave the product if you don’t want to wait for that price check. Be advised you could miss out on SCOP if applicable. Supermarkets will tend to open up more cashier lanes at particularly busy periods. This is to avoid customer frustration which can lead to negative advertising for the store. Tesco’s in the UK has a policy where if there is more than one person in front of you then they will open up another checkout. I used to shop at Tesco’s on a regular basis and the policy was always a bit hit and miss. Scan as you shop is a service that allows you to scan your shopping with a handheld scanner whilst you go around the store. You then simply pay for your shopping at the end of your shop. On that note here are some of the processes I’ve come up with that the customer can control which will help them gain back their confidence in the grocery store and want to shop more. 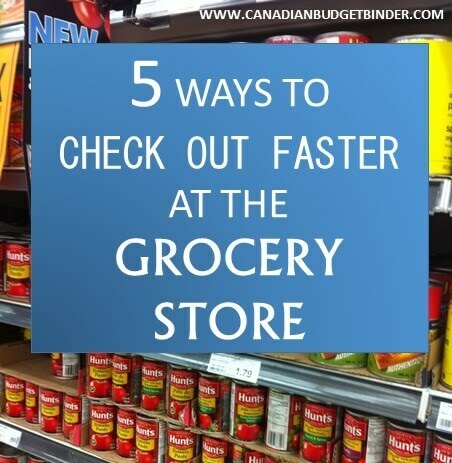 These are just 5 of the fastest ways that we can make sure our grocery shop isn’t going to last longer than need be. Everyone has certain quirks about the grocery store but what’s important is to get organized so you can optimize your check out process. Don’t worry about what other people think even if you do have a bit of OCD like I do when it comes to keeping the products together on the belt. Remember every grocery check out process will be different for each grocery store because each store carries different rules and policies. Some may be the same but some may differ especially when it comes to the “Fast lanes” and “Self Check Out” so don’t be afraid to ask questions and get to know your local grocery store. The self check out was meant to get the customer to scan their grocery shop in order to eliminate the cashier process. If you know what you are doing, most times you don’t even have to talk to anyone which can slow you down. Almost all self check out cash stands have a customer service cashier overlooking the process in case you get stuck. The best thing about the self check out is that if you get lucky and don’t have to wait for a check out you can speed up the process depending on how fast you are at doing the job yourself. Not all cashiers are as speedy as they could be but we also don’t know if there are any underlying reasons so it’s up to you to at this point. I’d be lying if I said I didn’t profile the cashiers before I get in line to check out because I do. What I like to do now is make sure I am organized when I am putting my groceries on the check out belt. The worst thing you can do is just slop all your products on the belt. YES, it is the cashiers job to scan your products and send them to the bagging section BUT if you want to speed up the grocery shopping process don’t be afraid to step in and help out a bit. If we find products that are reduced I tend to group them together so I can track the cashiers screen to make sure all the prices scan correctly. I’ve done it where I have the products mixed about and it’s very easy to get distracted so grouping them helps to keep me focused. Some people like to organize the fruits in one pile, meat in another, frozen food, breads then heavy products, dairy and so on. The problem with this is that once the product is scanned it gets sent in a pile down the belt so either way you have to fish for the products to bag them unless you are fortunate to have a packer present. Some cashiers prefer the UPC code down other prefer them up so you can take a quick second to ask if you are able to get the cashiers attention. Sometimes this might be hard if you have a customer in front of you but if you can get eye contact with the cashier it’s easier to open up and ask that question than wait until you already have all your groceries on the belt. The cashier may appreciate your organizational skills too. They hate waiting around just as much as you do however they are getting paid not you, so don’t waste your precious time. If you have products to price match by all means try to group them together so you aren’t constantly pulling out grocery flyers or having to show your smartphone flyer apps. Your cashier will also appreciate this as will the customers behind you who have to sit through the price matching process which for some can take a bit of time. If you have paper coupons always ask your cashier how they would like that handled. If you have your coupons ready to hand to the cashier as she scans your products this may help BUT it’s always nice to ask because you don’t want to slow down a process either. You should already have your re-usable bags ready to go or you have to pay to buy some from the cashier but that’s not what holds up the line. What holds up the line is when a man is riffling through his wallet or the woman is digging to the bottom of her purse and emptying it out on the belt looking for credit cards, debit cards, rewards cards or even that $20 they stashed ‘somewhere’ in their purse. Always be prepared that way you won’t have to fish around wasting your valuable time. I’ve also seen customers at the cash who are NOT prepared only to find out they forgot their money or cards at home so they can’t pay for their order. What time do you grocery shop at? This is very important if you want to bypass all the traffic at the grocery store check out. The worst times to shop are on weekends and mid-afternoon and after 3pm in the afternoon. The lineups when you go to check out are so long you want to pull your hair out. We find the best time of day to shop is early in the morning or later at night. Some people who work midnight shifts will go right after work which is great because they are wide awake and the stores aren’t so busy. Well, that’s all I’ve come up with although I’m sure I could pick out some smaller details but not everyone has time to nit-pick the small stuff like stay off your cell phone and focus on the task at hand and so on. What other processes can you think of which will help you check out at the grocery store faster? The Frank’s Red Hot sauce was regular price but it’s not often I find it on sale when we need to stock it. This is not one product we stockpile by any means so sometimes we get stuck paying the higher price. Other than that it was fruits, veg and milk. I will be making a peanut butter chocolate bar this month and some date squares. Only a couple of shops left but we have the stockpile budget too if we need it. Let’s do this!! I didn’t find any new coupons this week as we didn’t go to Zehrs. It’s getting harder and harder to find coupons anywhere but RCSS, Zehrs or Loblaws stores. Agree? I just seen your awesome deal on chickens!!! That was a really great score and will do wonders for the budget and freezer too! It was canned fruit , peaches and pears, they are one of little misses favs and with winter coming I wanted to make sure we had some fruit on hand especially when prices are crazy high! they don’t expire till 2017 so that is a bonus. I never thought of washing the little swimmers……do you throw it into the washing machine? We had a small pool this summer so we used about pack and a half. Hopefully next year we will be potty trained! I know…. are ya jealous haha!! My wife wasn’t as excited as I was because I noticed it first lol. YES I just put them right in the washing machine and they are perfectly fine to use over and over. I get rid of them if they start to look like they have done their time. Weekly Overview (your final thoughts) an expensive week in one way but I was able to get some very nice deals that should hold me into next month. I still have room to work but it will be close. If I go over it won’t be by much even figuring the overage from June. It hurt to have to pay full price for the Whiskas but Stuart and Molly were almost out and hungry! I knew you were going to say that about the shop being expensive as I was reading the list. It seems like more than you normaly buy. It does hurt many people to pay full-price.. Maybe I will write a post about How to avoid paying full-price for groceries! Ah. see why I love my fans. You give me ideas and you don’t even know it. 🙂 You use lots of rice at your house. Is there a way to buy a big bag to save money? Have you looked around? We buy rice from Thailand as it’s the best in my opinion. I never buy Uncle Bens, No-name etc… it’s NOT the same at all. When the bags go on sale they are a pretty good deal. You get ballot 11. Mr.CBB Great shopping Christine. Shoppers Drug: Tortilla chip clearance 1.25 x 3, clearance bread various 5 x 1.00, tax .49: Total paid 9.25 rounded up 1 cent. Not a bad week. Needed to use a lot of PC Plus points and thank goodness for them. A lot of preparation for birthday party and food necessary for other family. Also found out at the last second that our son was out of shampoo and it is always a big hit. Thank goodness is lasts about six weeks each bottle. Need to stay on target for the rest of the month. It would be really nice to come in under and then perhaps next July we may try to keep it as the same budget without the increase. Lots of coupons this week. And I have been buying prepackaged tortillas because they have been on sale with coupons and it is just too hot in our house to be making them right now. Buns were bought for the same reason. It would already be hot enough in the house working on our son’s birthday cake, I was limiting the heat inside. Cake necessary, buns not since I found a good enough deal with them on sale and with coupons. It was a complete surprise to find the bread clearance. I always take a peek when filling prescriptions. Periodically I find a great deal. The cake was wonderful. It had Minion Kevin on top with two layers of cake. One layer was bright blue and one dark red. There was nothing left by the end of the weekend. It was a hit. Normally I have to freeze it, but I guess I’m getting better at judging how much we need. Oh I saw that cake on my Facebook page.. it was awesome! Our son has a thing for the Minions too. Great job! I’ve been super-grateful that my wonderful hubby is willing to run out for groceries by himself. HOWEVER…it’s been frustrating that hubby never pays attention to prices, when he goes alone. If he sees bread, he’ll buy bread. If he sees cheerios, he’ll buy cheerios…at full price. Even though I have a rain-check. *sigh* Oh well, still made it in under-budget. I pretty much do all those things you mentioned, so my process is pretty quick at the check-out. It’s the people in front of me who tend to slow things down. Sometimes even the self-check out can get busy. It can also be slow if the person doesn’t know how to use it or needs the employee to enter the reduced item. I’m surprised they haven’t factored that into the system yet. I enjoy the articles you send out, even though many of the hints and tips are difficult for us to apply. My wife has numerous food sensitivities and we both have dietary restrictions. The results are that we cannot take advantage of ‘best prices’ for products, and must stick with the brands or varieties we can use. The best we can do is watch for ‘our’ products togo onsale and stock up at those times. However, the main reason I am sending this comment is in regards to today’s topic of saving time at the grocery checkout. I agree that the experience is, for the most part, nothing like the ‘good old days.’ Still, elements of the past remain. In a number (not all) of Safeway stores in Calgary, you can still send your groceries in a crate to the front of the store,where you can drive through a lane and have a store employee load them in your car; at Calgary Co-op stores, baggers (at almost every checkout!) will take your groceries out and load them into your parked car. I don’t know if the Safeway service will be continued now that Sobeys has bought out Canada Safeway. So far we have seen house brands move from one store to the other, but operationally, little visible difference in either store. Butit’s nice to see some of the old services still exist. That’s Brilliant. I had no idea they still continued that practice. My wife said it was great when it was in place here in the 80’s and many people would use the service especially in the winter. No one likes carrying or pushing a grocery cart through the snow. It’s also great for people with disabilities. It’s tough when dietary restrictions play into the “grocery budget” but like you I’d watch for sales and stockpile what I can and save that way. Do you price match as well? Overview: 1st week – Starting with a clean budget slate….nothing really new to report for this week. 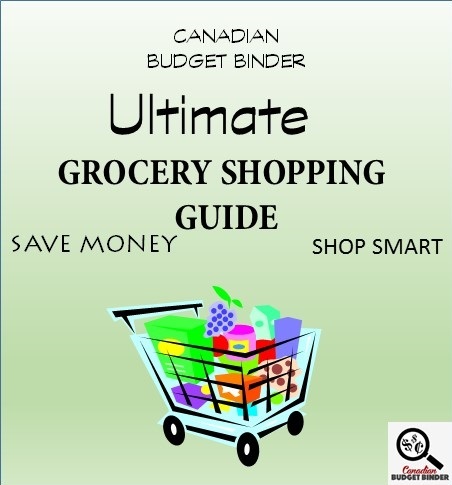 Overview: 2nd Week – Not sure what happened with the meal plan last week but we are rolling the unused food plan which made this week’s grocery shopping quite easy and quick. I’m off this week from my M-F job but will be working at the market on Tuesday and Thursday since my boss has gone to the cottage. She will be back on Saturday for business as usual. One of the local Zehrs stores still have packers and give you the tag which will match up with the groceries and put them in your car. I don’t have the option of going to the grocery store early mornings unless it is on the weekends but if I go before I head to the market on Saturday, I can beat the rush of Saturday’s shoppers. I’ll usually put my non-price match items on the belt first and then group the price matched items based on the store. It’s much quicker for me and I hope the cashier. Really? Another fan Barrie just mentioned that he can still have this done out his way too. Here we thought it was something that no longer was in place. It must have been up to the store whether they wanted to continue it. I think it’s a brilliant idea and that it should be brought to all the stores. I think for those that do care about getting in and out fast they have some method to their madness when putting groceries on the belt. Whatever works is best. I think the cashier does appreciate organized customers. I will pull coupons I plan to use when I am making up my list and keep them handy, a used envelope is handy to write the list on while coupons are tucked inside. I also give the coupon binder a quick flip through before I get in the lineup. I just pull over to the side of the aisle for the flip through and to get out any flyers I am using to PM. All items to be PMed are on the belt together with the flyer on top, open to the item in question if possible. Coupons go on top of the item as it goes on the belt. One thing I do the cashiers just love is I take a highlighter to the coupon marking the expiry date and the address to send it in for redemption. The expiry date is self-explanatory but they also need to check that address to make sure it is a Canadian address. Having these things highlighted makes everyone’s job easier and faster. As I said ..the cashiers just love it!!! Always double check your coupon to be sure you have the correct size, and in case of BOGO’s you are within the price allowance for the product as most will post a limit on the price they will redeem the store for. Highlight that too. I bought my current pack of highlighters last year during the back to school sales, I think I paid a dollar for a 4pack.. I keep things that need to be kept colder for the drive home together as I do have a couple of insulated bags to use. Makes it easier for hubby to help pack things if he is with me…he can get confused easily unfortunately. So far none of the stores I shop at have the self checkout lanes so that doesn’t do much for me. We did the coupon on the items only once and would you believe the coupon fell off and slid right into the belt so we couldn’t use the coupon. They couldn’t get it out. So, now we hand them directly to the cashier. The drive home across the street or the drive home from No Frills haha.. you’re so lucky! I’d be fighting a battle if I lived across from a grocery store like you do. Would you try the self-check out lanes if they were available to you? I don’t need the insulated bags if I go across the street but I use them when I go to No Frills. I try to keep things that have coupons together near the end so I can keep an eye on them. If I have a number of things with coupons I will just hand them to the cashier as she gets to the items. I would consider using the self check lanes if everything was straight forward. I don’t know how they would handle coupons or discounts. Can use use coupons or get your discounts on the self checkers??? Christine, yes you can use self checkout with coupons…just scan everything and some stores allows you to scan the coupons yourself. You then hand over the coupons to the attendant. Other stores you hand all the coupons to the attendant and they will enter the coupons themselves. The only thing that you can’t do with self checkout is price match…that needs to be done with a cashier.